The 16 teams in the latest Korean season of Overwatch have been whittled down to eight with the completion of the opening group stage. 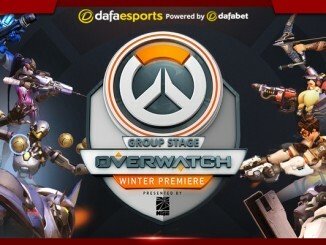 Lunatic-Hai, RunAway, Team KongDoo Panthera, Nc Foxes, LW Red, GC Busan, X6-Gaming and CONBOX all made it through to the next stage of what has suddenly become a fascinating tournament. 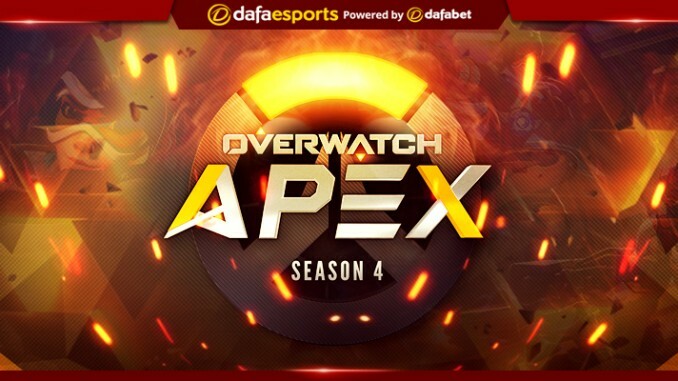 Group Stage #2 play has just begun in the Overwatch APEX Season 4, with Team KongDoo Panthera leading the way as the favourites to win the competition. Panthera finished their initial Group B play with a 3-0 record, leaving them as the top seed from that pool heading into the second group phase. Panthera have been one of the earliest adopters of changed/new heroes, playing the recently buffed Junkrat in their most recent match-up versus CONBOX, even on the king of the hill map type where his selection is less prevalent. This team is based around the aggression and abilities of DPS players birdring and Rascal, who continually display brilliance at the highest level. Birdring in particular is known for his Tracer play, constantly pressuring enemy backlines and forcing difficult situations for the opposing team as their attention becomes split. Rascal, on the other hand, has played mostly Soldier and Pharah, focusing on the openings that birdring creates. KongDoo Panthera should maintain their level and are the most likely team to win the tournament. One odd note from the first few games of the second group stage is that three of the four top seeds fell in their opening matches, with KongDoo Panthera being the exception. While these teams are expected to bounce back, the ability for underdogs to steal series wins leaves a series of question marks in terms of who will make the playoffs. One team in unknown territory is Lunatic-Hai, who lost their opening Group Stage #2 series against GC Busan in a stunning 3-0 fashion. 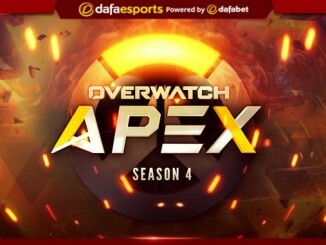 Lunatic-Hai have been one of the top teams in Korea for some time, but the recent news of the team signing with Team Seoul for the Overwatch League has some doubting their focus on APEX Season 4. This roster is stacked head to toe with star power, with players such as Miro, Whoru and ryujehong all in one squad. Miro’s ability on Winston in particular is second to none, and with no nerfs in sight for the monkey anytime soon, it is likely his play will continue to be at a high level, given how little he plays anything else. The loss the team suffered to GC Busan was incredibly disappointing, particularly given their uncoordinated look and inability to win King’s Row with such an overtime advantage (LH completed the objective of moving the payload with many more minutes remaining than GC Busan but were still unable to defeat them with the extra time). A major patch was just introduced to Overwatch, changing key characters alongside the addition of a new map; Junkertown. The two hero changes are incredibly impactful, as both Mercy and D.Va have seen a revamp of their kit. Originally used primarily to soak projectiles with her Defense Matrix, post-change D.Va sees a shift towards a more versatile damage orientated play style with her new E [preset E Key ability] where she shoots missiles after not having an E previously. While D.Va’s ability to absorb damage has been nerfed, being able to shoot while flying gives her a unique ability to chase down targets, leaving a possible new role within the competitive scene where she consistently saw play. For Mercy, a complete overhaul of her Ultimate allows her to stay in the fight instead of hiding. Her previous Ultimate Ability resurrected anyone in the area, which encouraged her to hide away until multiple members had died, when she would then fly in and bring them back to life. In a similar vein to D.Va, this change completely alters the fundamental play of Mercy, meaning players will need time to adapt to her new play style. Look for both reworked heroes to make an impact in upcoming matches, especially for underdog teams looking to catch the favourites off-guard. One team that could suffer from this is Team KongDoo Panthera, who have utilized the Pharah-Mercy combo on multiple occasions, although Soldier should see more play with D’Va’s defensive nerf given how it shut down his Ultimate Ability of the Tactical Visor very efficiently. Hero changes mid-season are a challenge for all involved and can potentially throw the formbook out the window. Panthera have a clear advantage having won their first Group Stage #2 match-up, but all eyes will be on the forthcoming clashes. 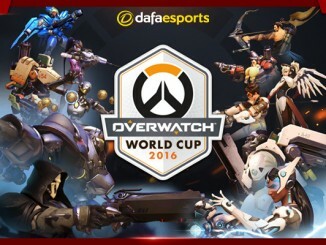 Overwatch World Cup – Who will be the first World Champion?